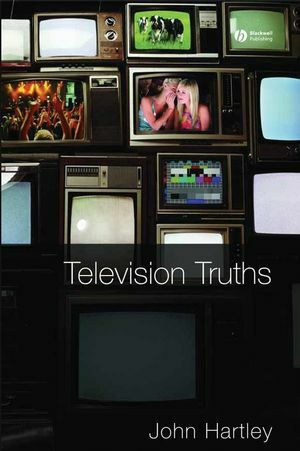 Television Truths considers what we know about TV, whether we love it or hate it, where TV is going, and whether viewers should bother going along for the ride. This engaging volume, written by one of television's best known scholars, offers a new take on the history of television and an up-to-date analysis of its imaginative content and cultural uses. John Hartley is a Distinguished Professor at Queensland University of Technology and Adjunct Professor of the Australian National University. Hartley is the author of 15 books, including Creative Industries, A Short History of Cultural Studies, and Communication, Cultural and Media Studies: The Key Concepts. He is a Fellow of the Australian Academy of the Humanities. 1. Television Truths (Argumentation of TV). Part I: Is TV True? (Epistemology of TV):. 2. The Value Chain of Meaning. 3. Public Address Systems: Time, Space, and Frequency. Part II: Is TV a Polity? (Ethics/Politics of TV):. 5. Television, Nation, and Indigenous Media. 7. Reality and the Plebiscite. Part III: Is TV Beautiful? (Aesthetics of TV):. 8. From a “Wandering Booby” to a Field of Cows: The Television Live Event. 9. Shakespeare, Big Brother, and the Taming of the Self. 10. Sync or Swim? Plebiscitary Sport and Synchronized Voting. Part IV: What Can TV Be? (Metaphysics of TV):. 11. “Laughs and Legends” or the Furniture that Glows? Television as History. 12. Television in Knowledge Paradigms.